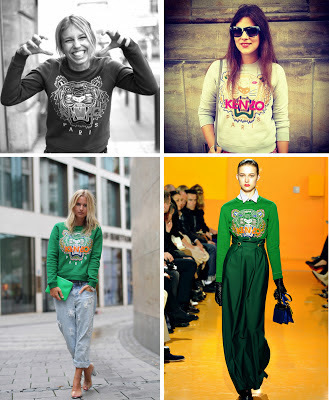 Fashion Gossip: COMPETITION >> KENZO TIGER FEVER!! COMPETITION >> KENZO TIGER FEVER!! I personally have had a fascination with Tiger prints and graphics on clothes for a while now. But not till I saw what KENZO did with it till i fell head over heals for this new TREND!! and is here to stay! So here is your CHANCE to own one the most saught after items!! 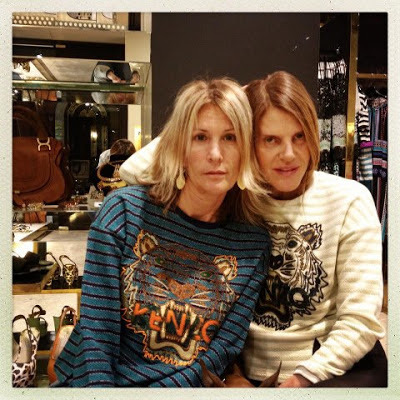 THE KENZO SS13 TIGER sweater! ANSWER THE FOLLOWING QUESTIONS IN THE COMMENT BOX BELOW THIS POST! with your name & email contact! WINNER WILL BE CHOSEN JUNE 5th 2013!! 1- What movie did the song "eye of the tiger" appear in? 2-What year was the Year of Tiger in the Chinese New Year ? 3- What's the KENZO SS13 theme? Oh wow I so wanna win..
Oh, how I would loooove to win this!!! i really hope i win this!!!!!! excited!! Hello, my name is Maya. I HOPE I WINN!!! THANKS!!! b- Jungle fever "vibrant jungles of Asia into the urban jungles of the world"
Hello my name is Zara.